When I was 15 years old, I went through an extraordinary life-altering event. For years I had attended the rather grim public school that served that relatively poor rural community. But then one day I was taken out of that environment and transferred . . . Or perhaps one should say “transported” . . . into the wondrous environment of the local rich kid college prep school. Why am I telling you all this in the Over My Shoulder blog? Because one of the biggest differences between poor kids and rich kids was the presence of mentoring. In the poor kid’s school, there was one single “guidance counselor” to serve over 2000 students. I had exactly one meeting with this woman, and all I can remember of that meeting was her saying, “Justin, you can’t go into music, you’ll never make a living at it.” She meant well. After all, what possible hope did a kid in that school ever have of playing in the Boston Pops? But when I arrived at the rich kid school, there was no guidance counselor. Instead, I was astonished to hear that I, like all the other rich kids, was to be paired up with a specific faculty member who would act as my “advisor.” This was way more than just someone who would give me terse career advice once a year. They were a pal, they were a mentor, they were your support system. If you had any kind of issue, you had someone in power that you could talk to one-on-one. It actually wasn’t even about advice. It was just a sense of support, safety, and connection. I stayed in touch with my senior year advisor for many years after I graduated. I saw this support system in other rich kid environments. In my twenties, I spent several years as a “college drop-in” at Harvard University, as my best friend was a live-in “tutor” in a Radcliffe dormitory. What is a “tutor” you ask? Well, for all the academic stardom of your average Harvard student, there was an embedded support system of “tutors” for them in every Harvard dormitory. 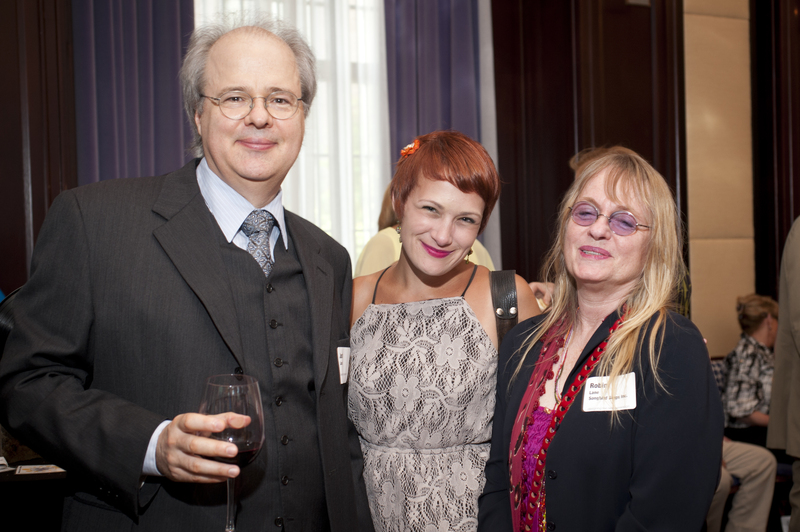 These “tutors” were recent Harvard graduates who lived in the dormitories, eating the same food. There were tutors in math, tutors in science, there was even a music tutor who staged concerts and annual house musicals. These tutors provided essential “big brother” support for the students. If a student had any kind of difficulty with their course work, they had someone right there living amongst them, a veteran of the system, that they could ask for assistance. When I was a poor kid, I was a lone individual, dealing with government bureaucracy. When I became a rich kid, I was immediately provided with adults in my life that I could trust and could lean on for emotional support. When I talk about poor kids and rich kids, I’m not talking about money. Money is just one aspect of wealth. Wealth is derived in no small part from your “emotional infrastructure.” Being wealthy means having what you want, and for the vast majority of us, that means starting your day with a feeling of connection and belonging. When that is absent, even if you have cash in the bank, you are a poor kid. 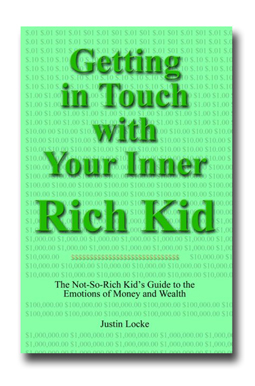 You can read more about Justin Locke’s book “Getting in Touch with Your Inner Rich Kid” on his website,justinlocke.com. He is giving a public seminar in Newton Massachusetts on August 27, 2012. To buy tickets and for information, visit www.justinlocke.com/workshop.htm. Hi there, You have performed a fantastic job. I’ll definitely digg it and personally recommend to my friends.